The Kendall Covidien Multi-purpose Sharps Container 5 Quart Translucent has been engineered to allow for safe and proper disposal of all sharps. 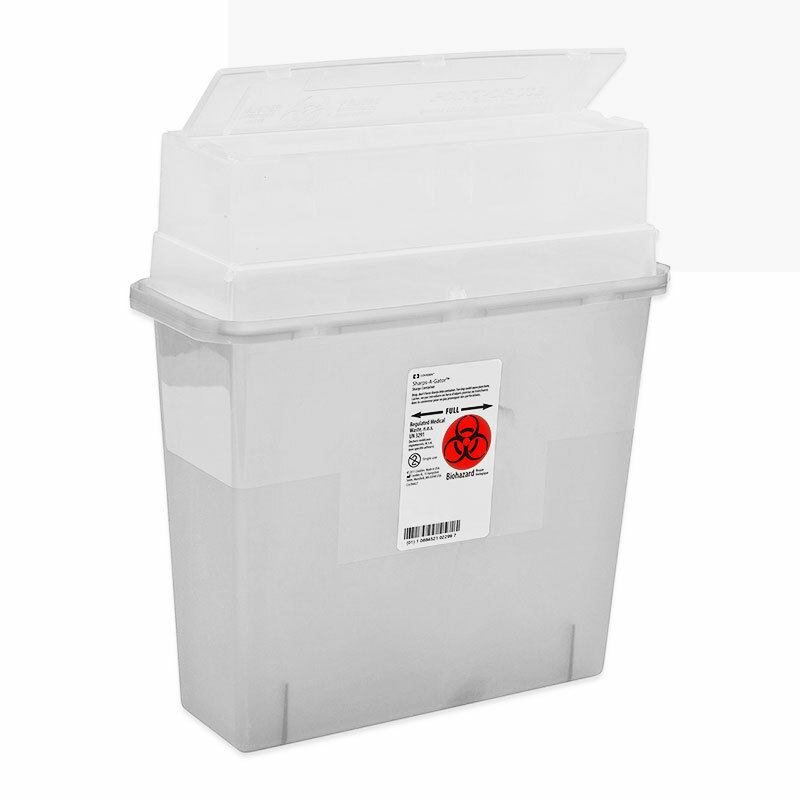 This specialty container meets all safety standards when it comes to the storage and disposal of used and contaminated needles. Please check with your city/county to see how they want these containers disposed of. The SharpStar containers are designed with controls to prevent overfilling and limit accidental or intentional access to the contents. The Sharps-A-Gator container was designed with a counter-balanced door which allows for the disposal of various sized items. One-step, no touch sharps depositing. Tortuous-path design impedes hand entry. Contains 1 Sharps-A-Gator Safety In Room Sharps Container, 5 Quart - Clear.